Picture your first married moments alone with your new life partner. You have just escaped the crowd at your reception, and the pressures of planning the perfect wedding are finally behind you. Your chauffer pops open your complementary ice cold bottle of champagne. Take a deep breath and smile. It's even perfectly acceptable to uncontrollably giggle. As you sip on the champagne, your first family discussion turns to a relaxing honeymoon ahead. This is a moment you will never forget. We understand the importance of our role. Our chauffeurs have been trained to unobtrusively pamper you. In your quest to find the best service and value for your transportation on this day, please ask yourself whether you need a ride, or are in search of a unique experience that you will cherish forever. 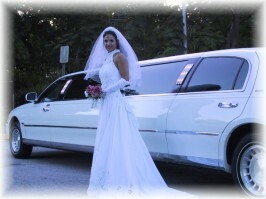 Thank you for considering JMS Limousine & Transportation for such an honor.